Hotel Zero Degrees Norwalk is located at 353 Main Avenue on the same thoroughfare as numerous global and local corporations. Nearby corporate parks in the Merritt 7 complex, plus Glover Avenue, SoNo and Wilton attract travelers who call Hotel Zero Degrees their home away from home. 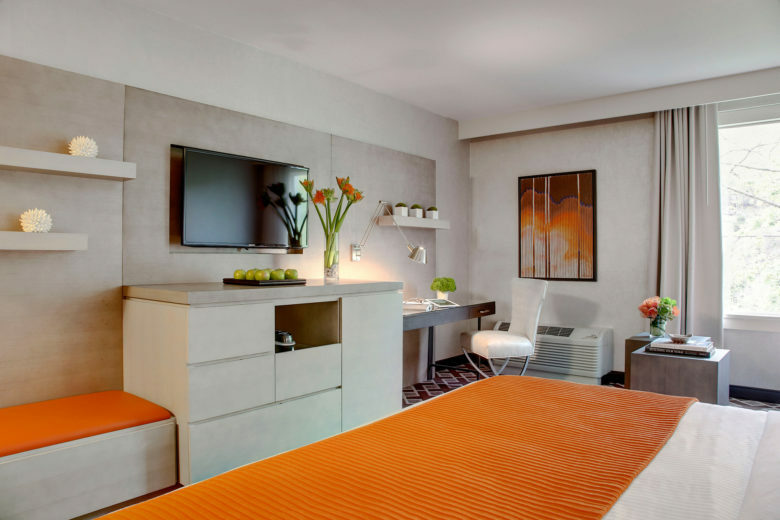 Rest matters for productive days, and Hotel Zero Degrees provides value-oriented comfort with a guest-centric attention to detail – exactly what savvy business travelers deserve. Inquire about preferred corporate guest room rates with our sales team. Rest matters for productive days, and Hotel Zero Degrees provides value-oriented comfort with a guest-centric attention to detail. Let us host your guests in comfort and style for your special event. 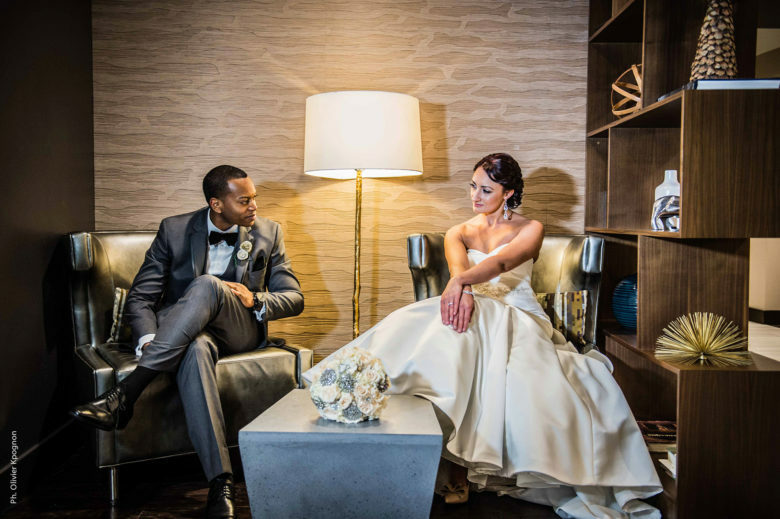 Hotel Zero Degrees Norwalk specializes in coordinating group room blocks for weddings in CT, bar/bat mitzvahs, reunions, showers, anniversaries, birthdays, or any occasion to bring loved ones together in comfort and style. Cater a welcome cocktail celebration at our distinctive SKYTOP 353 open-air lounge or dine together in our award-winning restaurant, Mediterraneo of Norwalk. Our chic property offers a unique environment to reconnect, revive, and enjoy the moment. Designed with sleek contemporary furniture and soothing shades of gray, our Classic Queen room offers a separate work area, task and ambient lighting, and custom-designed plush furniture, serving all of your work and leisure needs. Enjoy a 42” hi-definition flat-screen TV with a full selection of in-room entertainment and laptop-friendly in-room safe. Our designer beds are enhanced with striking inlaid fabric headboards and our down duvets offer supreme comfort. Spacious bathrooms include oversized vanities and showers, luxurious toiletries, and backlit mirrors. Our best value. 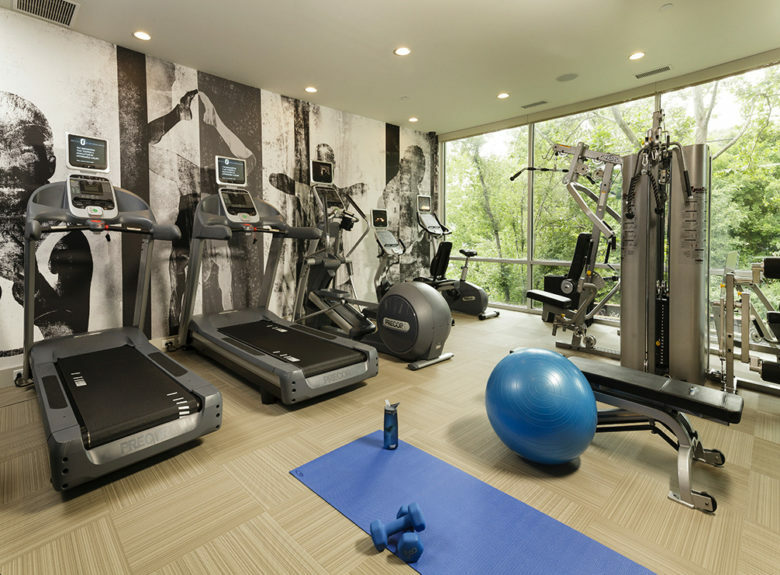 All the modern amenities you require, stylish design, and luxurious touches. 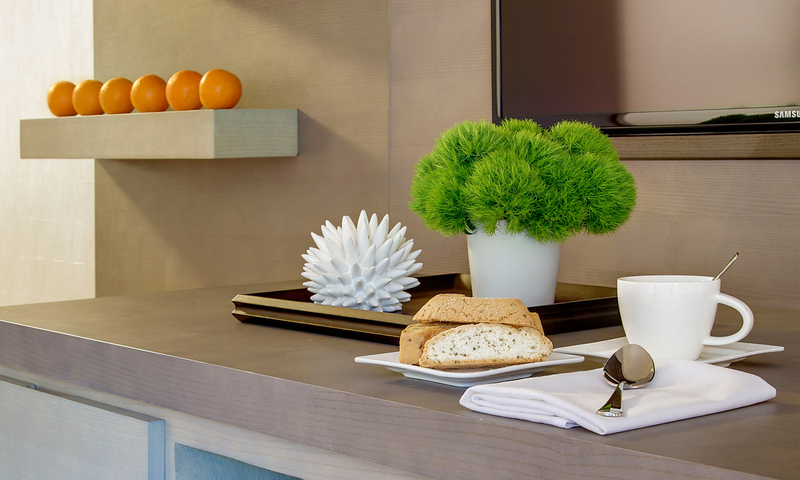 Each Superior King room is stylishly decorated in minimalist design with artful touches. Sophisticated in-room entertainment is available on our high-definition 42” flat-screen TVs, and furnishings designed to suit your personal living and working needs. The work area is free of clutter and well-lit with task lighting for maximum productivity. An in-room safe offers maximum convenience. Our spacious bathrooms include luxurious toiletries, ample vanity space, and an oversized shower. All the style and substance of our Classic Queen, with a bit more space and a king-sized bed. 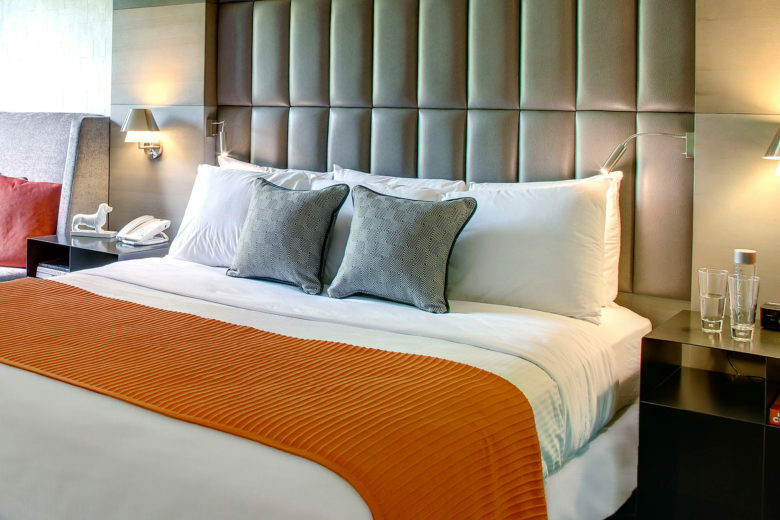 Our Deluxe Double rooms feature two queen beds and the same European-style design touches as all of our other rooms to accommodate up to four guests per room. Our sleek workstations assure you can work productively with ample lighting. 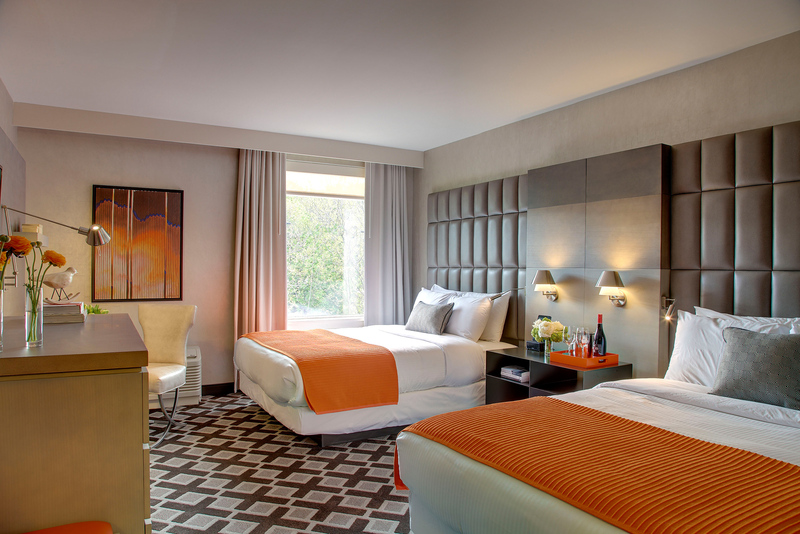 The 42” high-definition flat-screen TVs and in-room safes provide all the comforts you deserve. Our sleek bathrooms offer a shower with tub, back-lit mirrors and luxurious toiletries. The same size as our Superior and Deluxe rooms, the Double Room offers two queen-sized beds and a comfortable work area with ample storage friendly furniture. 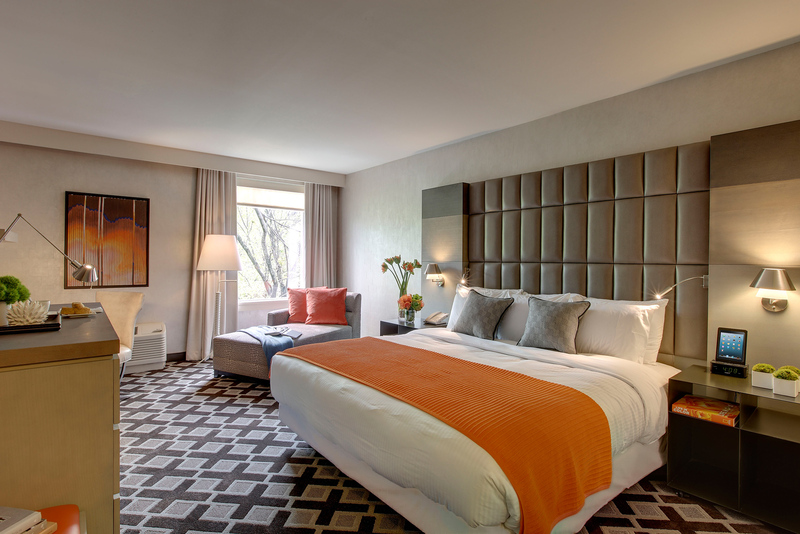 Our Deluxe King rooms have the added convenience of a plush, full-sized pullout couch and coffee table. 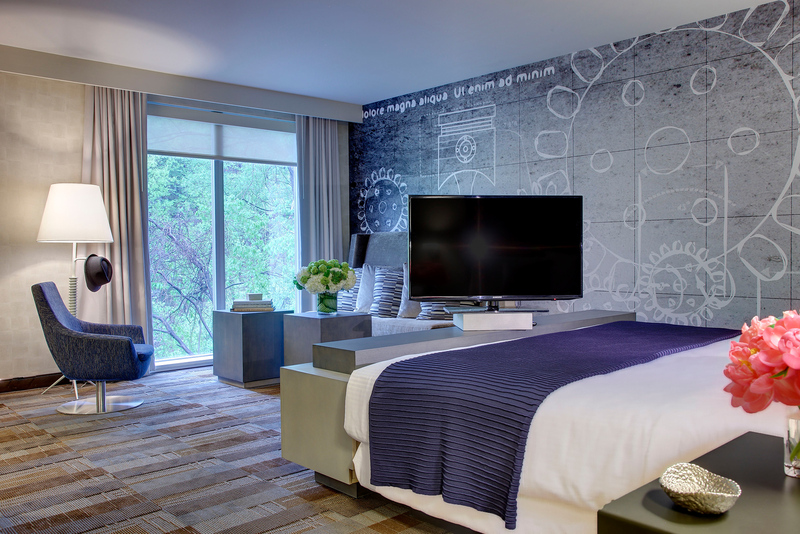 Incorporating our signature style and modern design, these rooms are adorned with custom European-inspired furniture. Guests will enjoy ample seating and comfortable work spaces with ambient task lighting and a 42” hi-definition TV. Generously sized bathrooms are adorned with oversized showers. Extra special details include: oversized vanities, backlit mirrors, and luxurious toiletries, all upscale amenities for which Hotel Zero Degrees is known. Same size as our Superior King, with the addition of a full-sized pullout couch and coffee table. Tucked away and overlooking a calming waterfall, you’ll find our Studio King Suite rooms, which offer maximum peace and privacy, as well as additional living space. Inhabiting the signature gray tones and sleek design style, the Studio Suites offer a king bed, a full-sized pullout couch, a separate sitting area and a customized workspace. With 42” hi-definition flat-screen TVs, in-room safes and ergonomic seating, guests enjoy maximum convenience and comfort. Bathrooms are oversized and include deep soaking tubs, an oversized shower and vanity, and toiletries. 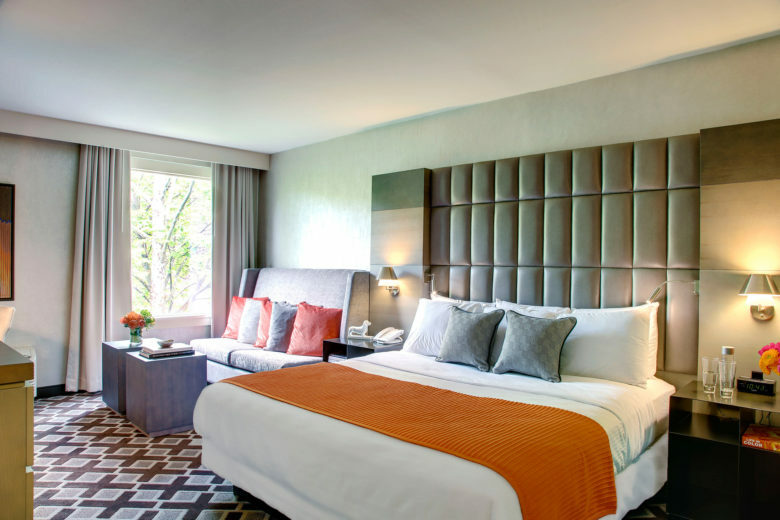 Studio King Suites are our most luxurious offering with quite a bit more space, plus floor-to-ceiling windows overlooking beautiful waterfalls on the hotel’s northern side.  As a guest of Norwalk’s favorite boutique hotel, you‘ll enjoy a wide variety of complimentary amenities.